This forecast was published 03/31/2019 at 7:07 AM. 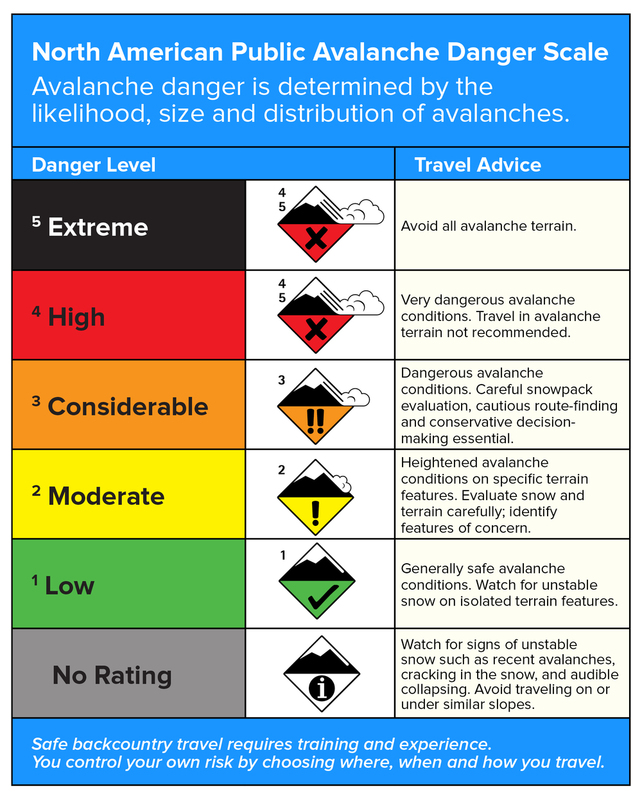 This is an archived avalanche forecast and expired on 03/31/2019 at midnight. Continued above freezing temperatures combined with forecast rain is increasing the possibility of wet avalanches today. Areas of most concern will be east-facing slopes that had large areas of dry snow which saw warmth for the first time yesterday. As these former wind slabs warm and weaken, the likelihood of a large wet avalanche will increase. All forecast areas have MODERATE avalanche danger today due to the possibility of wet avalanches. Snow is forecast to fall this afternoon once temperatures drop. 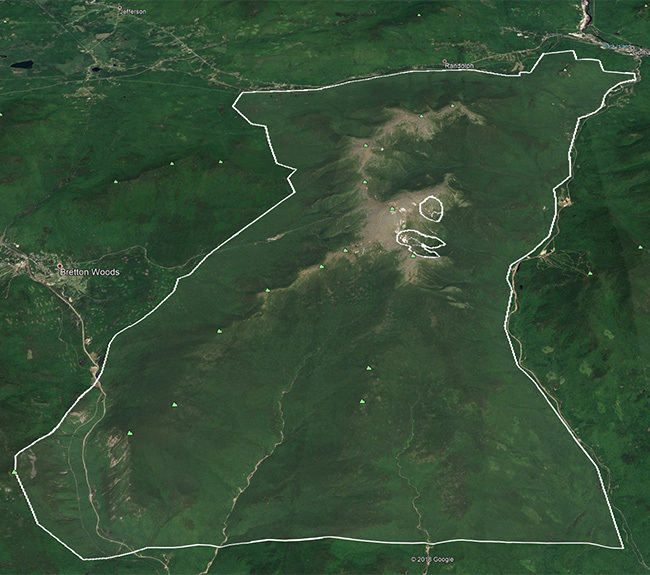 Wind slabs will likely form on slopes in the lee of wind from the west. Observing this changeover to snow should key you into looking out for the development of wind slabs. Despite yesterday’s above freezing temperatures, cloud cover and elevated wind speeds kept softening of snow on the ground to a minimum. All elevations were above freezing by noon with S and SSW wind in the 35-50 mph range. Minimal rain fell through the day (0.04”). Currently, temperatures around the Range are 34F on the summit, 43F at Grey Knob (4370’), and 46F at the base of the Auto Road (1600’) with a very light rain falling on the summit. As warm air continues to stream into the region, temperatures should rise through the morning, reaching the upper 30sF above 5500’ with our lower elevations peaking into the upper 40sF. The approaching cold front is driving moisture ahead of it, meaning rain will become likely through the morning. Forecasts are calling for less than half an inch of rain at all elevations before a sharp drop in temperatures occurs. The transition to snow should take place mid-afternoon at higher elevations and toward the evening down low. Snow showers could produce up to 2” by midnight tonight on west wind increasing from 40 mph to 60 mph. Peak temperature today will coincide with the most likely period of rainfall. Wet slabs will become possible as free water penetrates into the snowpack and finds an interface or weak layer to lubricate. 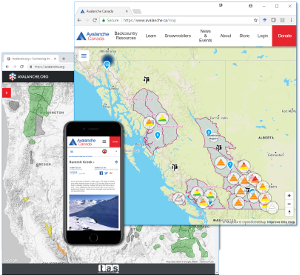 Wind slabs that formed last week above 4000’ are currently experiencing their first full warm-up and will be the locations of most concern for producing wet slab avalanches today. Areas of softer snow are most likely to produce wet loose avalanches, particularly on the steepest terrain. Sluff management for skiers and riders will be important today for those who venture into the rain. These types of avalanches will be small in size today, but the weight of this moving snow may be enough to trigger the larger wet slab. Broadly speaking, there are two types of our current snowpack. 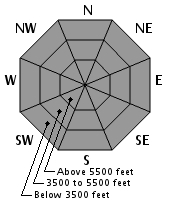 Elevations below 3500’, particularly slopes on the southern half of the compass, have seen several warm-ups and are more likely to see wet loose activity today than wet slabs. Snow above 4000’, in particular the large wind slabs that formed from last weekend’s Nor’easter and smaller wind slabs that formed at the start of this past week, are warming for the first time. This first warming will decrease the strength of the slab at the same time that free-water percolates from melt and today’s rain. These wetting slabs are sitting on a melt-freeze crust from earlier in March that may become the lubricated surface that produces wet slab avalanches today. As the day comes to a close, colder air will start the refreeze of our snowpack as well as allow rain to turn to snow. Wind slabs will form from the forecast 2” of snow by midnight, but this should occur after dark. If actual weather varies for the forecast, we may see wind slabs develop sooner in the day. Safe travel today will include monitoring the weather for changes from what was expected. Posted 03/31/2019 at 7:07 AM.